Escape the cold and join us for a relaxing evening of cheese, wine and beer sampling. 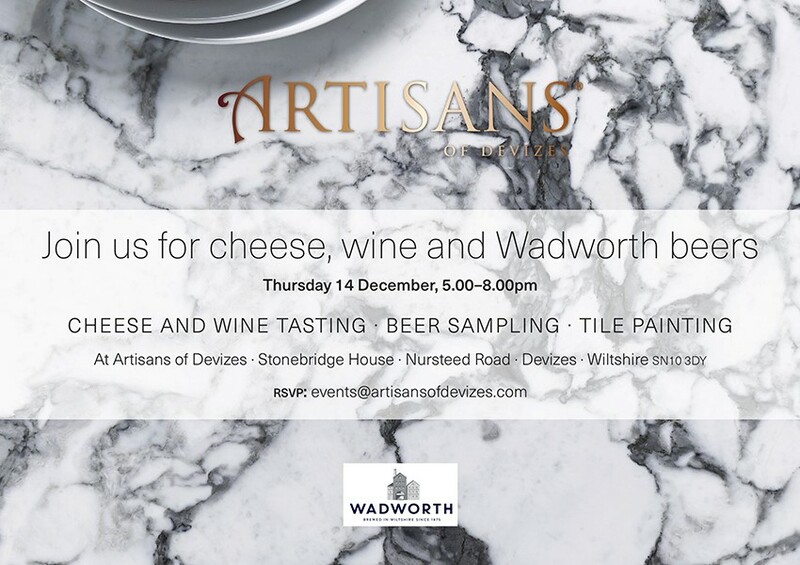 Enjoy warming red wines from South Africa paired with a delectable selection of cheeses, and taste locally brewed hops from Wadworth Brewery at our pop up beer sampling bar. We will also be hosting a free tile painting workshop, where you can paint your own, unique tile. Tiles will be fired in our kiln and ready to collect in January from the showroom.